Home | Fitness By the Bay Info | Polices | Hours | News | FAQ's | Personal Trainers Here | Get Our Newsletter Here! Personal Trainer Long Island Personal Training at Fitness By the Bay is the optimum way to lose weight, get in shape, sculpt and tone your body! Our Non-Intimidating Personal Training Facility allows you to focus on your weight loss, sculpting or athletic goals. Personal Training at Fitness By the Bay is for everyone. Want to lose weight like our other clients, or build muscle, are you looking to go into modeling or just looking to get in shape? Then we're what you want, and we're located in Blue Point with easy access from Bayport, Sayville, Patchogue, Bellport and all surrounding towns...we're right at the beach with gorgeous views of the Great South Bay! Lose or Gain Weight, Decrease Body Fat, Increase Lean Tissue, Increase Strength, Lose Inches, Increase the quality of your life as you continue on. Be the envy of those wishing they actually did something instead of saying they were going to. Our Personal Trainer Rates are one of a kind. It's month to month with your sessions scheduled. Multiple month sign ups receive up to 10% discounts. So come in now! IT'S THE LITTLE GYM WITH BIG RESULTS! Get Results, Meet Your Goals, Come in TODAY! What Can You Expect at Fitness By the Bay? You've heard them say, "I wish I could go to a personal trainer"...now they can. It's not where you do it, it's "that" you do it! Don't wait till they call you to get ready! You waited and waited, and when it's your time, don't blow it by failing the fitness test! Join the others who passed by coming to Fitness By the Bay! 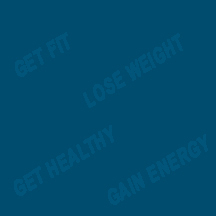 Get Fit and Lose Weight Long Island! Serving Long Island, Blue Point, Bayport, Sayville, Patchogue, East Patchogue, Bellport, Oakdale, Bohemia, Holtsville, Holbrook, Meford and surrounding areas. 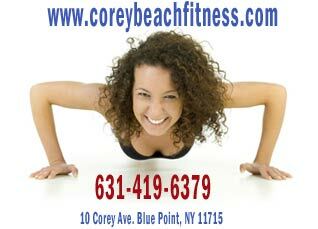 We're a provider of Long Island weight loss and fitness solutions. We take your weight loss and fitness goals as our own priority and offer weight loss and fitness programs through personal training and motivation.